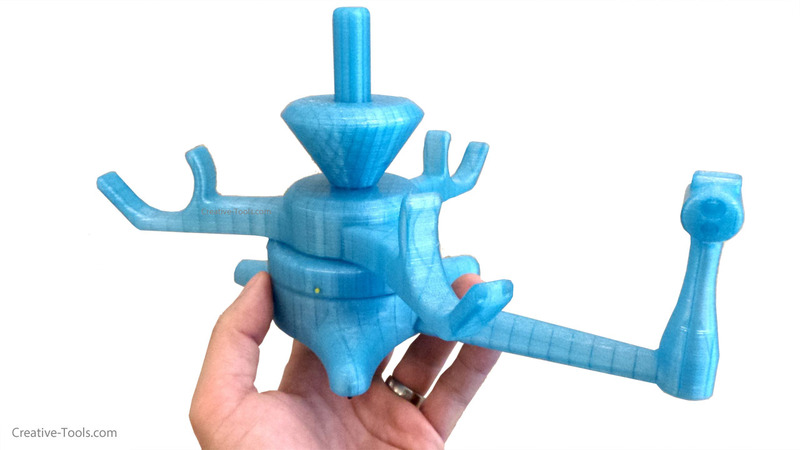 A universal, stand-alone, rotating stand for filament spools. 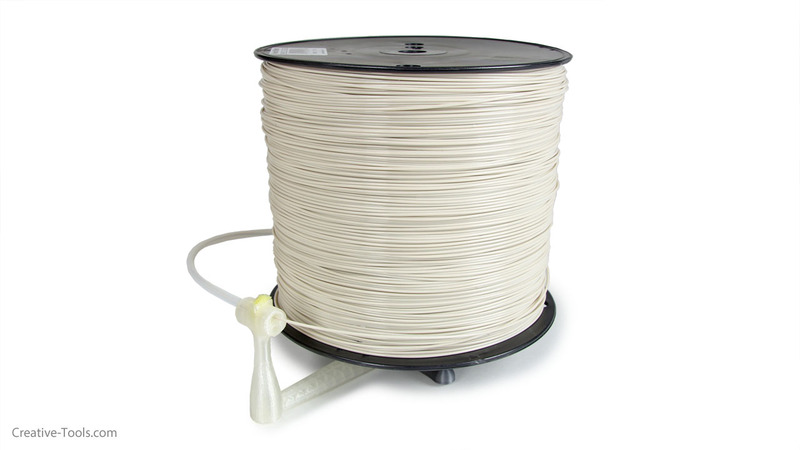 The spool holder's spindle is shaped to fit the vast majority of commonly used filament spools with shaft holes ranging from 16 mm to 62 mm in diameter. 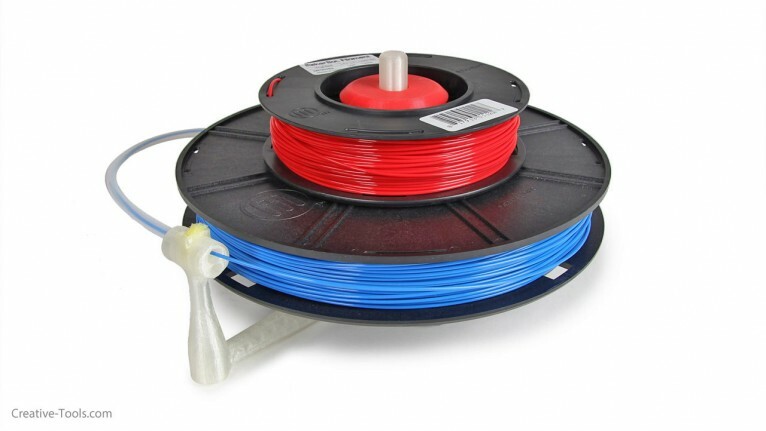 It is also compatible with spool-less filament coils. The spindle which holds the spool's weight rotates on its own roller wheels, which makes it turn effortlessly. 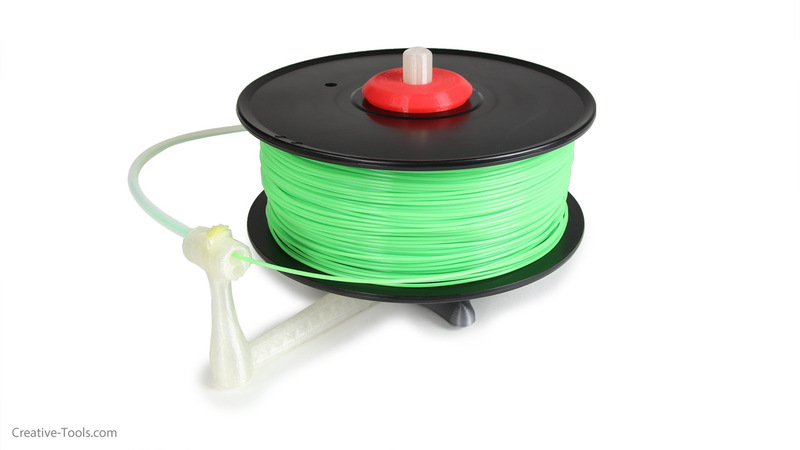 The spool holder includes an arm for filament guide tubes of both common filament dimensions: 1.75 mm and 3.0 mm. The arm also contains a pocket for inserting a piece of sponge which acts a a filament filter – thus keeping the filament clean and lubricated. 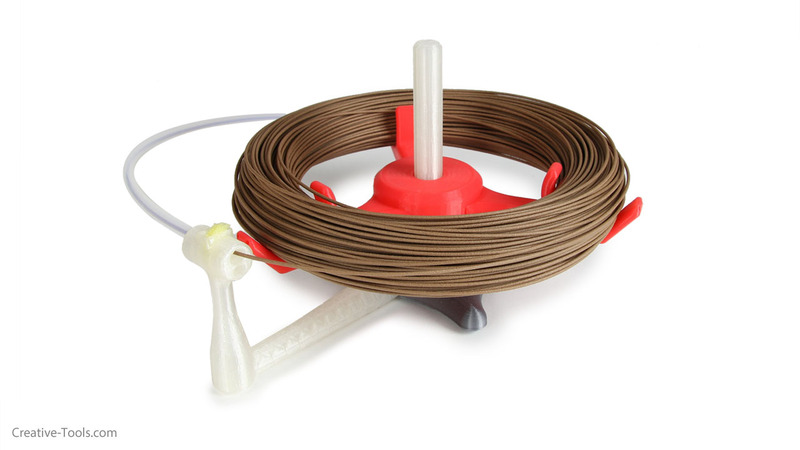 This filament spool holder is designed to be 3D-printed easily, without the need for fasteners such as screws, nuts, shafts, glue, etc. 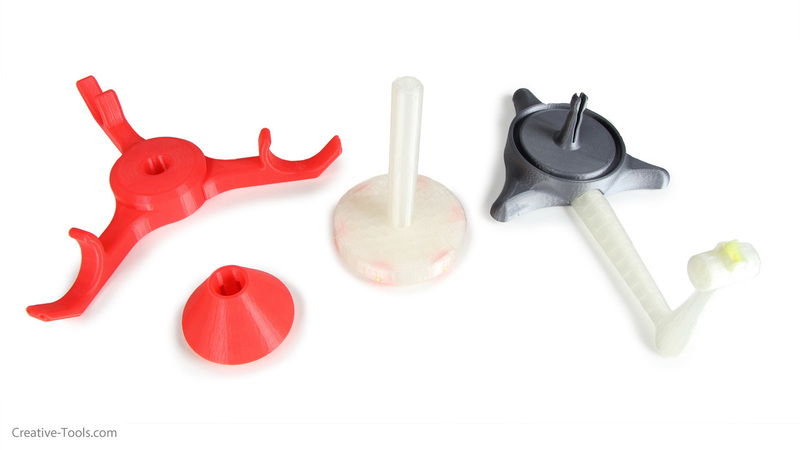 Every single component in this spool holder is 3D-printable. If you have your own 3D-printer and want to 3D-print this spool holder yourself, you can download the STL-files for free here. 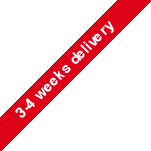 I den femte generationen MakerBot Replicator 3D-skrivare har MakerBot anpassat teknik från proffs 3D..
Straight and flexible palette knife suitable for removing 3D printed objects from 3D printers' bu..
A softer PLA 1.75 mm filament in a natural hue. All material types in the ECO filament range are..